﻿First up, sorry for not posting any Sunday strips the last couple of weeks but I've been busy meeting some storyboard deadlines which can be lots of work in a short space of time. 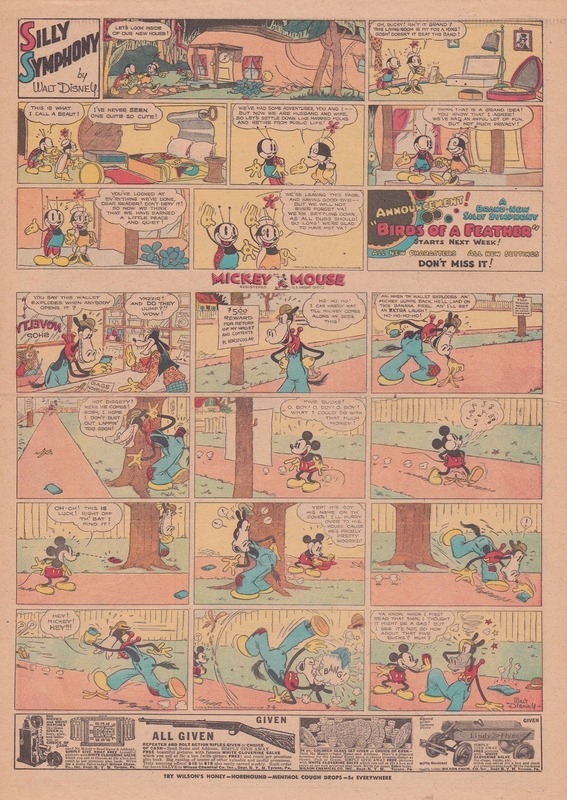 Anyhow, I'm back with a bit of a treat, a full Sunday page from March 4, 1934 starring Mickey Mouse and Bucky Bug, actually this is Bucky's last Sunday appearance. He would reappear later in Walt Disney's Comics and Stories. As a second treat I've added the original production proof below which highlights the artistry of the Disney comic strip department. I hope you enjoy.